Contractors in Kentucky may find their licensing rules a little confusing so we are happy to break it down for you. First of all, specialty contractors like painters, landscapers, fence installers, and drywall contractors are not required to be licensed by the state. 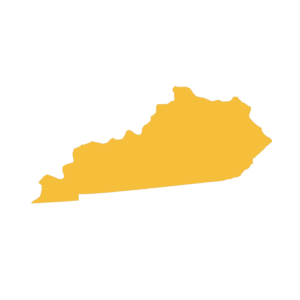 Kentucky does, however, require that HVAC, plumbing, and electrical contractors get licensed by the state in order to operate in Kentucky. For General Contractors, licensing can get a little messy because even though a state license is not required, some counties and cities will require your business to get licensed with them prior to working in their city or county. 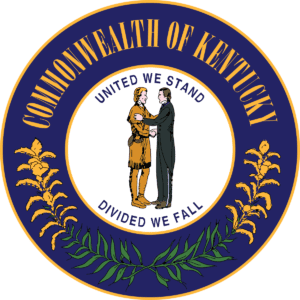 Kentucky’s minimal license requirements does not let businesses off the hook when it comes to the safety of employees since the state does required contractors with at least one employee to carry workers’ compensation insurance and the state has instituted considerable penalties for businesses found not in compliance. Learn more about workers’ compensation requirements in Kentucky. Even if you consider the licensing laws in Kentucky to be very lenient, the risks of third party lawsuits will always be a risk that every contractor should mitigate. Having the proper insurance coverages in place will ensure that your business and employees are financially protected. Costs related to property damage claims made against your business. Expenses to settle claims by a third party that your business caused them personal injury. Advertising injury claims made against your business. Attorney fees related to settling covered claims. Administrative costs to handle covered claims. Court costs associated with covered claims. Settlements and judgments for covered claims. Every business owner who has one or more employees is responsible for their cost of work-related injuries or illnesses unless the business has a workers’ compensation policy in place. Your state department of labor will require you to carry this important coverage and will hit your business with some penalties if you ignore the rules. Since personal auto policies typically exclude business vehicles from coverage and do not offer limits high enough to protect your business, every business with business vehicles should have a commercial auto policy in place. Generally there is no limit on the number of vehicles to be covered and most carriers will offer limits up to $3 million. Contractors should consider the cost of repairing or replace their tools and equipment in the event they are damaged or stolen. Inland Marine insurance is the policy used to affordably protect your tools and equipment and your employees’ tools as well. Typically, a surety bond is required by licensing boards, commercial customers, government organizations and other parties that you do business with. It’s important to understand that a surety bond is not insurance but more like a line of credit that is available if because of your business operation, a customer must redeem it.